After 120 minutes of back-and-forth battling and intense play, it was Sacramento Gold FC who prevailed 3-2 over the visiting FC Tacoma 253 in the NPSL West Region quarterfinals Saturday at Capital Christian High School. Jason Jones helped the #4 seed Gold knock out the #5 seed Tacoma with two goals and an assist. Nate Nugen tallied Sacramento’s other goal. Eli Gordley scored both goals for Tacoma. Like in the teams’ previous matchup in Tukwila, it was the 253 who got on the board first. Taking advantage of an over-ambitious Gold attack, the defense was able to clear the ball to Pedro Millan, who sent a through ball to Gordley on the right side. Gordley made no mistake, slotting the ball into the left corner of the net and giving the visitors a 1-0 lead just six minutes into the game. The hosts struck back in the 27th minute thanks to their No. 27: Nugen. Jones’ attempt to head the ball towards the box was blocked, but the Gold forward got the rebound. Jones then sent a lob to a streaking Nugen in the center of the box. Nugen took a touch and chipped Tacoma goalkeeper Colin Benham-Marin to level the score at 1-1. Tacoma retook the lead in the 59th minute thanks to some solid passing from its captain. Carrying the ball just above the box, Matt Shaxton sent a curling ball into the box, freeing Gordley on the right side. Gordley smashed the ball by Sacramento goalkeeper John Connolly to put Tacoma up 2-1. Only nine minutes later, Sacramento was given another chance to equalize. After Sacramento got the ball into their opponent’s box, the whistle blew and the referee pointed to the spot. Despite the protests of Tacoma, whose Sofien El-Merik had been called for handball, Sacramento was given a penalty kick. Jones stepped up and converted the chance, tying the game at 2-2. Six minutes into extra time, Jones redeemed himself for a miss one minute earlier. After nearly bobbling away the game, Tacoma gave the hosts a second straight chance when a clearance ricocheted off a 253 player and right to Jones in the middle of the box. Jones made no mistake this time, hitting the ball in and giving Sacramento its first lead of the game at 3-2. The Gold nearly got on the board two minutes before the Tacoma did. Fernando De Alba sent a free kick right to Danny Lomeli on the left side of the box. Lomeli looked to shoot, but instead sent the ball across the face of goal. None of his teammates were able to get to the ball, allowing Tacoma to clear it. In the 16th minute, De Alba made a supporting run up the middle and played it through to Josue Araiza on the left side. Araiza fired a rocket, but it was saved by Benham-Marin. Four minutes later, a centering pass was headed by Jones towards Nugen in the center. However, the Tacoma defense was able to send it out for a corner kick. Tacoma nearly scored again in the 41st minute. Keeping up the pressure, Millan managed to get through on the right end line. Millan send a ball to Gianfranco Di Julio in the center, though Di Julio’s shot was deflected out of bounds. It would be the last dangerous chance of the half. Five minutes after Tacoma retook the lead in the second half, Sacramento managed to earn a corner kick. Though the attempt was a bit heavy-footed, Danny Mititelu managed to head the ball back across goal. The visitors were able to get out of danger, though the penalty would be awarded minutes later. After the converted kick, Sacramento ramped up the pressure on Tacoma’s defense. In the 71st minute, Bo Fonseca dribbled through a pair of defenders and sent a through ball to Jones up the middle. Jones, however, was a step behind the pass, allowing Benham-Marin to collect it. In the 76th minute, Abrahm Prado cut inside from the right side and sent a cracker at the upper right corner of the goal. However, Benham-Marin managed to deflect the shot out of bounds. On the ensuing corner kick, Jones sent a looping header to the same corner, though Benham-Marin was again there to make the save. Both teams nearly won it late. In the 86th minute, Fonseca was streaking towards goal through the middle of the box when he was seemingly brought down from behind. However, the official waved for play to continue, to the chagrin of Fonseca and the home crowd. Perhaps a bit angered from the perceived non-call, Fonseca was called for a rough foul on the left sideline three minutes later. After the play, Fonseca appeared to step on the downed defender. The referee was quick to the scene, issuing Fonseca a straight red and sending Sacramento down to 10 men for the remainder of the game. On the ensuing free kick, Millan sent a cross right to Di Julio on the left side of the box. Di Julio sent a shot at goal which looked to go in, but instead was right of a diving Connolly and barely wide of the post. Instead of a late rally for the win, both teams would instead receive 30 minutes of extra time. Five minutes into the first period of extra time, Tacoma nearly gave the game away. After Sacramento sent in a cross into the box, Benham-Marin collided with a defender while trying to collect the ball, which bobbled out of his hands. Suddenly with the ball, Jones fired a shot at goal. However, the shot sailed over the crossbar. However, Jones would only have to wait a minute for redemption. Sacramento’s third goal sparked a fury of offense from the visitors. In the 99th minute, Sanuele Piccinotti managed to get free on the left side of the box. Connolly game out to dive and defend, and not only managed to stop the attack, but swallow the ball and prevent it from going out for a corner kick. One minute later, a cross into the Gold box fell right to Millan. Unfortunately for Tacoma, Millan couldn’t get enough on the shot. Millan nearly made up for missed shots in the 111th minute. After some clever passing in the attacking third, the visitors got the ball to Millan alone in the right of the box. However, Millan sent his equalizing attempt high of the crossbar. The Gold nearly added to their lead twice thanks to Cuco Martinez. In the 117th minute, Jones turned on the top of the box and played it to Martinez on the left side. However, Martinez’s shot was straight at Benham-Marin. Then, three minutes later, and after Connolly made a slam dunk save of a Millan shot over the crossbar, Martinez again got the ball at the left side again, shooting it barely wide right of the goal. After a foul on Andrew Robles by midfield, tempers began to overflow. Arguments about fouls, time-wasting, and additional unmentionables soon turned into pushing and shoving around and away from the ball. After about five minutes of chaos, Piccinotti Colin Dalrymple were sent off with a second yellow card, while De Alba was issued a straight red. Shortly after, with both teams down to nine men, the final whistle blew. For Tacoma, the loss means the end of a debut season which saw the City of Destiny squad rally late to claim the Northwest Conference crown. 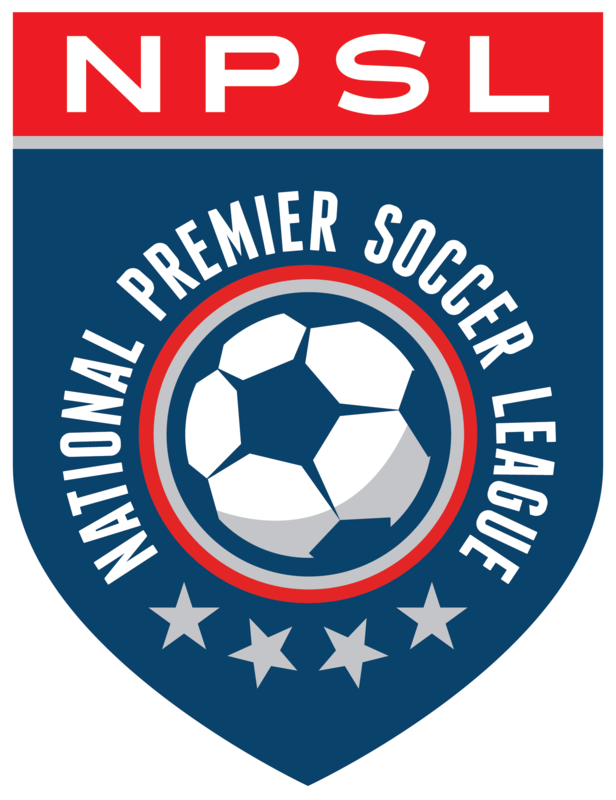 Sacramento, meanwhile, advances to the 2015 NPSL West Region semifinals with the win. However, the Gold must wait to see who they will play. Depending on the result of the second quarterfinal matchup, between #3 seed Deportivo Coras USA U-23 and #6 seed CD Aguiluchos USA on Sunday, July 12, Sacramento will travel and face either the #2 seed San Diego Flash or the archrival and #1 seed Sonoma County Sol. Either game would take place on Saturday, July 18.